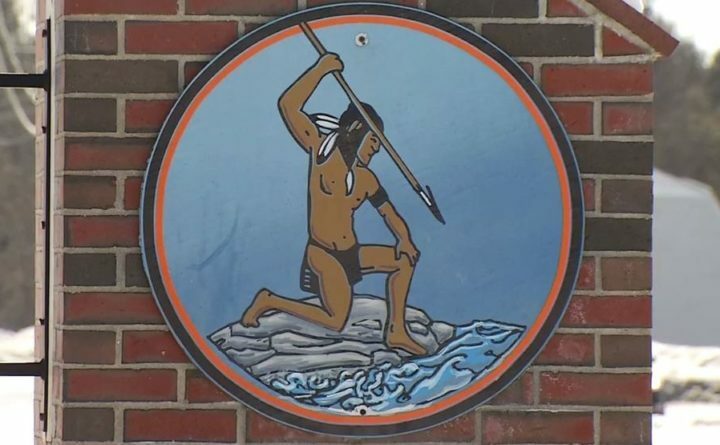 There's a petition to keep the "Skowhegan Indians" mascot after the town's school board voted Thursday night to get rid of it. A group of about 50 Skowhegan residents rallied on Sunday morning as they gathered signatures for a petition to force the local school board consider reviving the “Indians” nickname. Todd Smith, a member of the SAD 54 school board who voted against ditching the “Indians” name for the high school sports teams, told the Waterville Morning Sentinel that people feel they their voices haven’t been “represented” in the school board’s decision. The school board on Thursday voted 14-9 to retire the “Indians” name, and days later a petition drive was launched to reverse that decision. The debate over Skowhegan’s use of “Indians” for its sports teams has sparked spirited debate in the central Maine town and across the state as schools one by one began ditching Native American-themed team names and mascots seen by some as racist and insulting toward Maine’s tribes. Skowhegan was the last school in Maine to ditch its Native American imagery. Residents of Skowhegan have pushed back against claims of racism, and have said that the Native American imagery is part of their local heritage and tradition.